One of the worlds most popular file sharing websites -- Megaupload -- who had been in the news recently for their controversial song featuring many famous artists, has been shut down by federal prosecutors in the United States. The New York Times reports that the indictment accuses the company of costing over $500 million in lost revenue due to pirated films, TV shows, music and other content. Strangely, the timing of the takedown comes after websites across the internet, such as Wikipedia and Reddit went down for up to 24 hours in protest of SOPA/PIPA, which would endanger the internet. It appears the timing is just a coincedence, however, it's concerning that the feds don't even need SOPA to make a move like this. The site is run out of Hong Kong but hosted in part in Ashburn, VA where the indictment was made. Megaupload founder and operator -- Kim Dotcom (formerly Kim Schmitz) -- was arrested along with three others in New Zealand on Thursday at the request of US officials. A total of seven were arrested globally, and their charges include conspiracy to commit racketeering and criminal copyright infringement for running the "the Mega conspiracy websites" according to the DOJ. Dotcom is no stranger to the wrong side of the law, previously being convicted for credit card fraud, hacking, insider trading and embezzlement. Just before the site was taken down today, it posted a statement on its homepage saying that claims they facilitated copyright infringement were "grotesquely overblown" and went on to say "The fact is that the vast majority of Mega’s Internet traffic is legitimate, and we are here to stay. If the content industry would like to take advantage of our popularity, we are happy to enter into a dialogue. We have some good ideas. Please get in touch." The move will provoke mixed emotions amongst users of the service, many used it to host legitmate files, such as images for smartphones over on XDA-developers. With the service gone, a lot of this work has been lost, and users who paid for the service are already up in arms over the news. Reports suggest that at the time of its take down, the site was the thirteenth most popular file sharing website. The DOJ posted their charges against Megaupload here, however the site is struggling. And the Verge reports that "The DOJ has also issued more than 20 search warrants in the US and eight other countries, seized more than $50m in assets in the US, Netherlands, and Canada, and seized more than 18 domain names associated with MegaUpload." 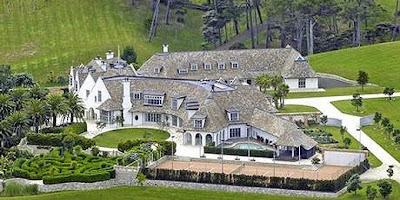 Kim's mansion is pictured below. The house is the most expensive in New Zealand, and is near Auckland where he was arrested. He only rents, as he was declined the opportunity to own it by the New Zealand government, due to previous convictions. Bram van der Kolk, aka Bramos, 29, a Dutch citizen and resident of both the Netherlands and New Zealand, who oversees programming and the underlying network structure for the Mega conspiracy websites. It appears that the FBI is taking action due to Megaupload knowingly paying users who uploaded infringing content and encouraging them to upload more in this manner. 18 domain names were seized as a result, including Megaporn and Megavideo.